Texas Gov. 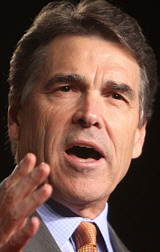 Rick Perry plans to give his first major policy address of the Republican presidential campaign in Pittsburgh on Friday. Comedian Stephen Colbert wants to grab “a megaphone made of cash” so he can shout out the demands of his supporters in next year’s elections.